I wanted to do to something a little bit diferent today. I sometimes think when writing that you feel like everyone knows you, and knows things about you. So I thought this would be the perfect opportunity to answer some questions that perhaps I have not spoken about before. Also I would love to know your answers in the comments below so I can get to know more about you too! I thought I would start with this one as you may or not have guess but Lottie is not my name. I love the name Lottie but its short for Charlotte. Funny enough, all my friends call my Charlotte or Charl for short which I never really liked it is just something I have got used too. 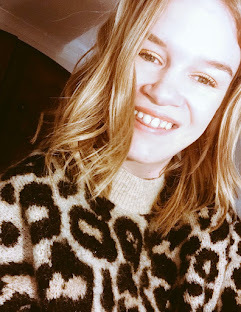 My family call me Charlottie which I love and when I started my blog I chose the name Lottie from my name and Lott just seemed to go well so I stuck with it. How did I get into vintage? I got into vintage because I have always loved quirky clothes, I loved clothes that looked like they told a story, something different and unique. I also was loved old music and films, one memory I have of being a young teen was staying over my grandparents house and they would put on Agatha Christie's Poirot and since then I became hooked, I loved it! Everything about it and still do. I would defintely say my grandparents, they made me get into vintage so much and I would thank them every day for watching pictures that my Grandad would watch, listening to the radio and putting on some fab tunes from my Grandad's music collection. Last but not least looking at pictres of them in their youth and thought 'wow I would love to dress like a women from the 1950s'. Why I never shop online? This is very strange one but I find it so so hard to shop online because of how tall I am. It is truely impossible for me to browse through websites thinking 'I love this dress, but I am 99% sure its going to be too short or those pair of jeans look fab but how I am supposed to know if they are going to look baggy around my legs.' I hate it and why I choose not too, it is so much easier just to go into Topshop or Zara and actually trying something and go 'yes this is great'. I love both for different reasons, summer because you can go outside and hopefully wear a summer dress and everyone just seems happy because people are going away and the sun is trying to get out. Winter because its nearly Christmas and my birthday! What are my wardrobe staples? A good pair of comfy jeans that fit perfectly and either a nice jumper or shirt. I love any types of shirts and tend to usually tucked into them in with jeans, depending on what type of style the shirt is. Shirts and mom jeans are such a great combination too! I hope by doing this Q&A you guys will know just a little bit about me and don't forget to answer yours down below too!